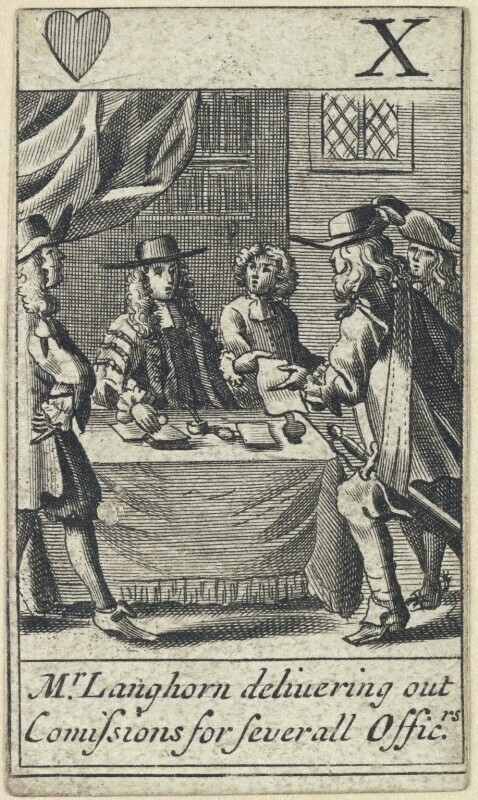 Richard Langhorne (circa 1624-1679), Barrister and victim of the Popish Plot. Sitter in 4 portraits. Francis Barlow (active 1648-died 1704), Painter and etcher. Artist associated with 62 portraits. Cavalier Parliament dissolves over the exclusion crisis - removing James, Duke of York from the line of succession. First of three 'Exclusion Parliaments' assembles; William Russell, Lord Bedford, member of the nascent Whig party, introduces an Exclusion Bill. James Scott, Duke of Monmouth, suppresses rebellious Scottish covenanters at Bothwell Bridge. An adaptation of Sophocles's Oedipus is published, a collaboration between poet laureate, John Dryden and playwright, Nathaniel Lee. It becomes a hugely successful stage production during the Restoration period. Composer, Henry Purcell, becomes organist of Westminster Abbey. The daughter of Henrietta Anne of England and Philippe, Duke of Orleans, Marie Louise d'Orleans, marries Charles II of Spain. It was hoped the marriage would improve relations between France and Spain who had previously been at war over the Spanish Netherlands.